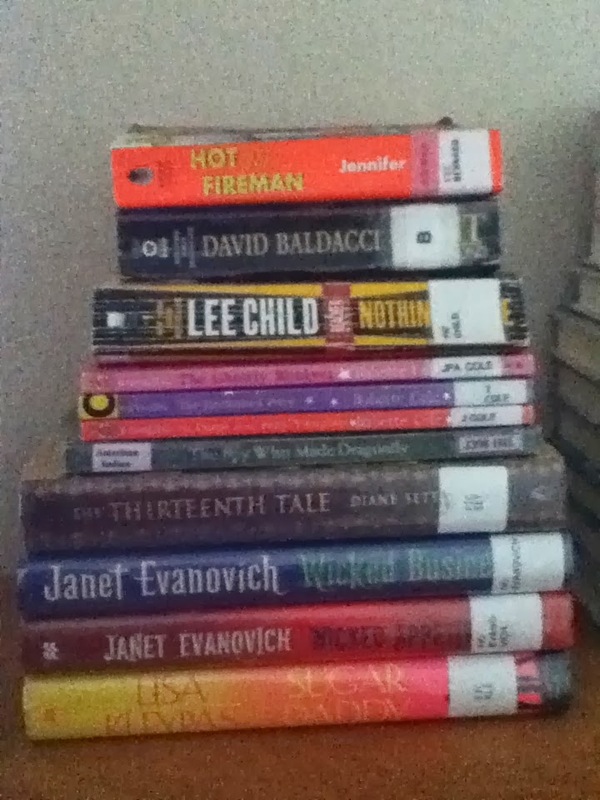 Book Dragon's lair: I've got my books ready, all I need is my snacks! start time for me? 5 a.m. Since that is my bedtime and we have afternoon plans, I'll only have about 7 hours to read, visit and blog. I've taken a picture of all the library books I have checked out and I can only say...yikes! I've got some that are due sooner than others and some that have already been renewed at least once and should be read quickly. There are a couple of review books, okay there are five seven, on my list. 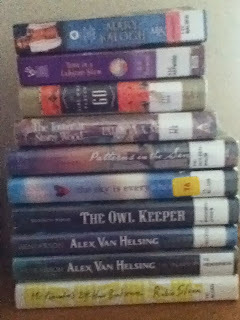 Plus the four I got in the mail yesterday, my huge ARC pile, and even bigger TBR pile. Sigh. I've donated a prize this year! "$20 towards book of choice at Book Depository". International and I don't have to pick a title! Marilyn Monroe by Alma H. Bond, Ph.D. I'm going to be a cheerleader for Team Bear. I don't know yet what blogs are signed up for that one. 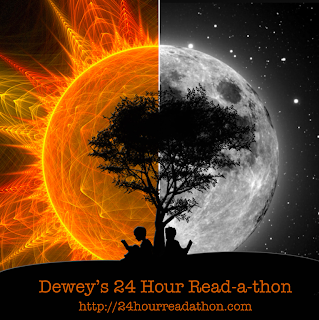 Hope you have a great time with Readathon--you certainly have a large and fun stack of books.